Resenha da obra: "CHOCOLATE NATIONS: LIVING AND DYING IN WEST AFRICA" - de Órla Ryan. 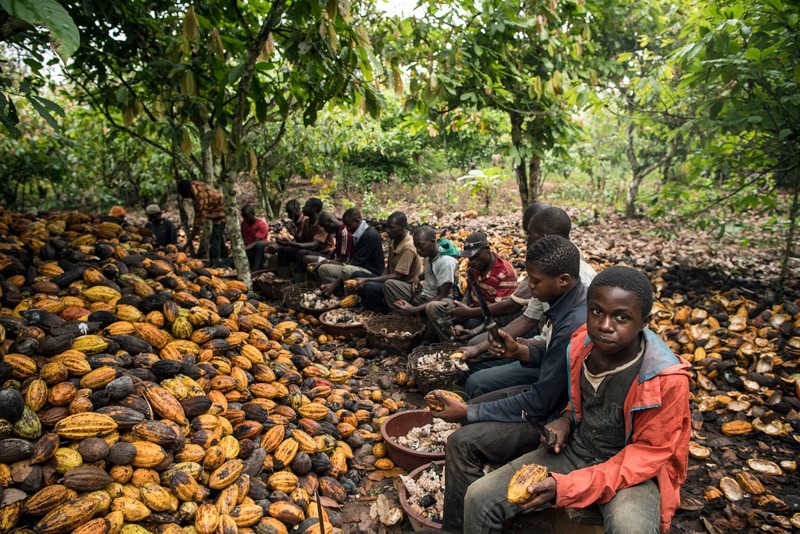 Chocolate Nations: Living and Dying in West Africa offers an interesting insight on the fragile and growing cocoa industry. The book was written in 2011 by Órla Ryan, an Irish journalist who has worked as a correspondent for Reuters - a position that brought her to Ghana, where she was inspired to investigate the matter further. Through a series of interviews and investigative work done throughout the years, the book not only provides numbers and facts, but also stories of farmers, families and societies, bringing a very strong human factor into account. Chocolate Nations begins with the history of Ghana and Ivory Coast, to allow a better understanding of the chapters that follow. 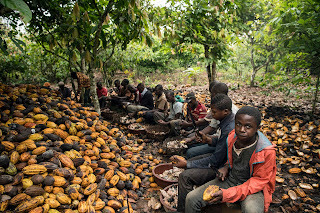 The main thing to keep in mind is that the cocoa industry has been shaping those countries’ fates since their independence in the previous century. And they have been relying on the commodity very strongly ever since, as they are still majorly agricultural states without much crop diversification. Ryan touches on many polemic topics in her book, one of them being child labour and trafficking - something that the media has been criticizing very strongly since the early 2000’s. However, there is a side which the media does not portray that the journalist brings to the surface: On one hand, Human Rights violations and many others do occur. On the other, many children willingly make their journey to richer neighbouring countries in search of work so that they can provide for their families. Sometimes, it is the family itself that forces the children to work on those farms - and they do it without meaning any harm to the young. What is common to all those cases is that the children never expect what they encounter and are usually disillusioned. Poor pays, poor living conditions, hazardous and effortful work and no chance of escaping. In other words, child labour is found in many countries, although there is a big difference between children that “work” and have their rights assured and what many children as the ones in West Africa face. Another interesting topic discussed by Ryan is Fairtrade chocolate and why as promising as it might seem, Fairtrade may not bring as much change as imagined. It is important to note that the author does not discourage the consumers to buy Fairtrade, on the contrary (every change, as little as it might seem, is still better than no change at all). But she makes the point that Fairtrade still has many challenges to face and things to learn, especially in the case of cocoa. Also, it is difficult for new brands and ideas to enter (and stay in) a market that relies on millions of smallholder farmers - therefore difficult to control. A market that has a huge share in the hands of multinationals, such as Mars, Cadbury, Hershey’s, Nestlé, Kraft and Mondelēz (and this highlights a hidden truth to many people: People see different names, colors, and sizes on the shelves and think that they have different options, when in fact they do not). Add to all that governance issues found in West Africa such as changes in power and military coups along with lack of technology, science and training; climate change; corruption; presence of government boards, co-operatives, NGOs; speculation that might affect prices; and so on. That is why the book might be overwhelming. It is a lot of information to take in, what can leave the readers without a definite view or without knowing what them, both as humans and consumers, can to do to help solve the problem. Nonetheless, it is a good read and a good start. The author does a good job in showing both sides of each story, bringing to the surface the complexities of the cocoa industry, from when the cocoa is harvested to when chocolate is distributed. * Isabela Gugelmin: estudante do curso de Relações Internacionais do Unicuritiba.